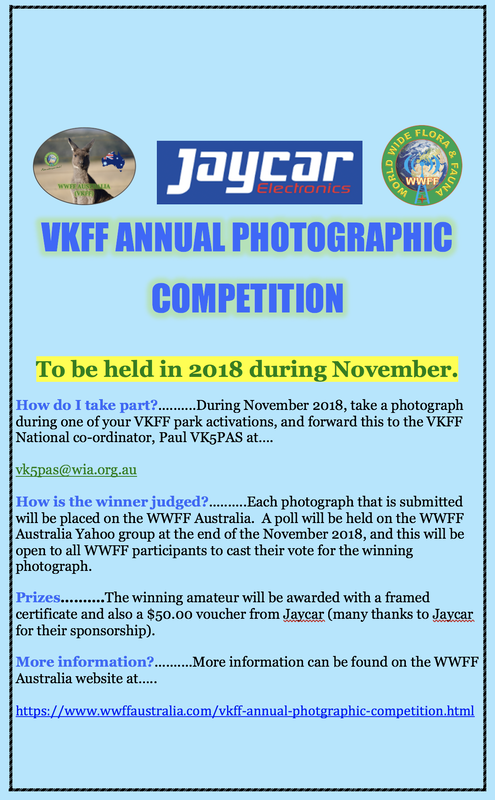 The annual VKFF photographic competition is held in November each year. It encourages park activators to submit a photo/s during their activation/s during the month of November. A $50.00 voucher, kindly supplied by Jaycar, is awarded to the winner, along with a winner's certificate. Certificates are also issued to 2nd and 3rd place getters.